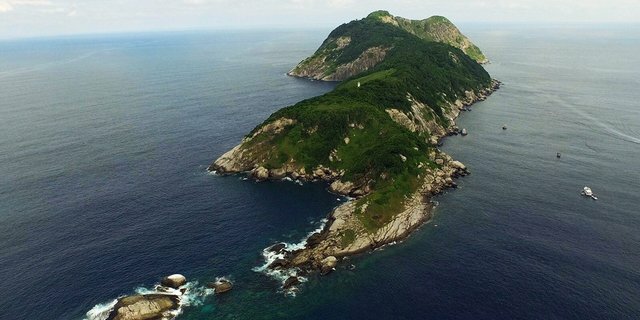 lha da Queimada Grande, nicknamed Snake Island, located off the southeastern corner of Brazil. It is the coast of Brazil’s Sao Paulo island. It is called the house of the Golden Lancehead Snake species. Here the number of these snoops is so high that there are five snakes in every square meter i.e. that is, in the place of your single bed ten snakes lives and in a place of your double bed has twenty snakes. This snake is counted in the most poisonous snake of the world. It can be estimated from this point that the bite of this snake dies within 10 to 15 minutes. This snake is responsible for 90 percent of all deaths due to snake bites in Brazil. Presently the Navy of Brazil has banned people from entering here.